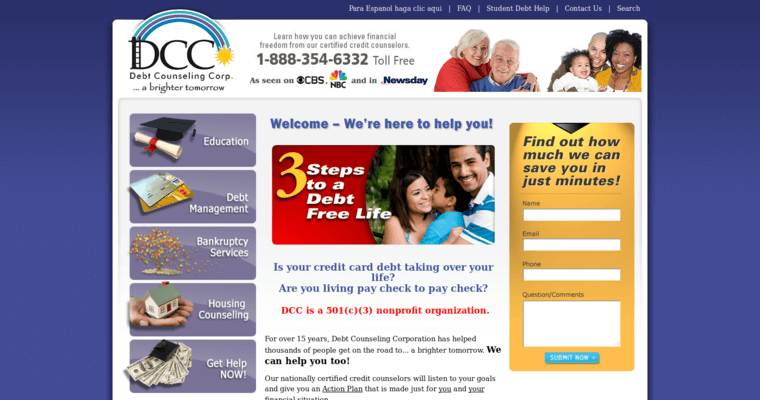 Debt Counseling Corporation has been in the business of helping people for over 15 years. As a nationally recognized nonprofit, it takes great pride in assisting thousands achieve their financial goals. 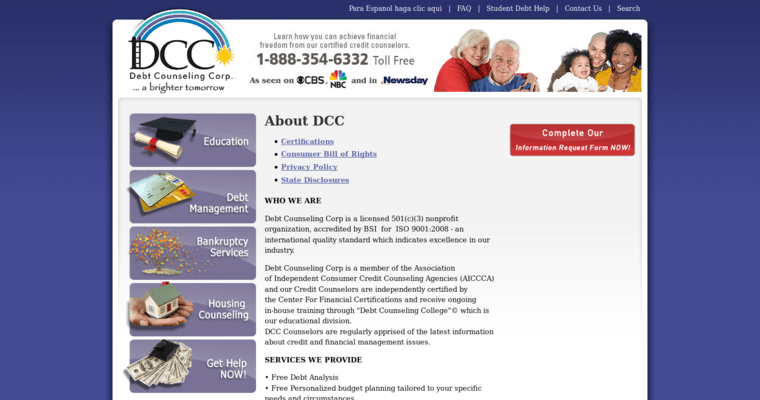 Debt Counseling Corporation's nationally credited certified counselors assist clients in variety of services, ranging from creating a financial plan to housing counseling. 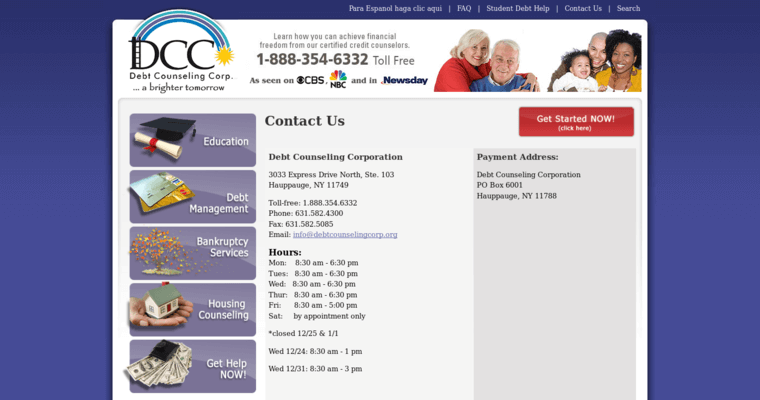 With a focus on financial literacy and financial freedom, Debt Counseling Corporation provides classes via online and on site for counseling in matters such as bankruptcy. Offering a variety of resources, Debt Counseling Corporation is sure to help you to attain your financial goals and increase the value of your financial picture.